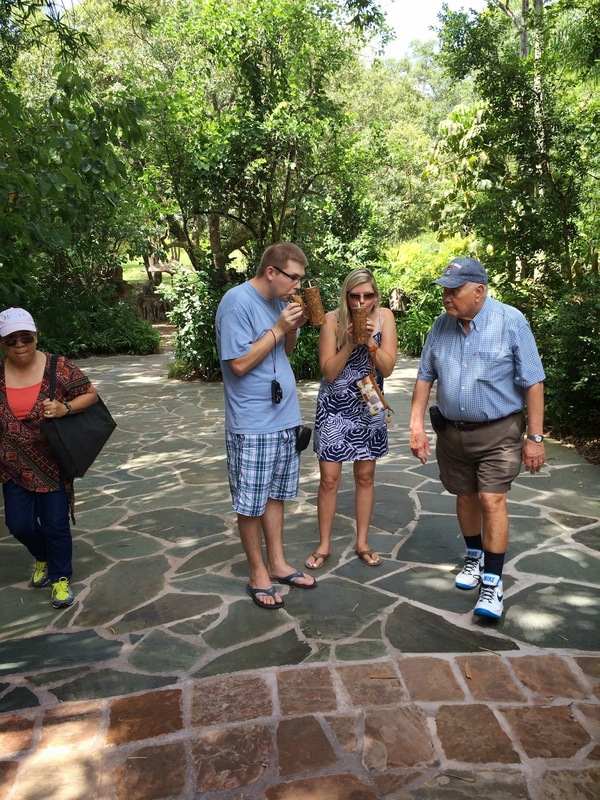 John and I love to spend Sundays at Animal Kingdom with an adult beverage, wandering the tree-lined pathways and observing animals (especially the tigers!). 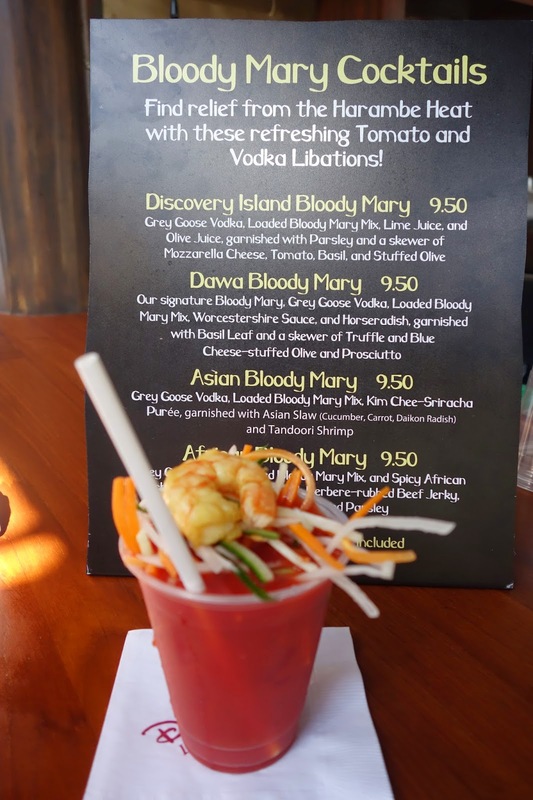 So you can imagine my excitement when Dawa Bar rolled out four new variations of the classic Bloody Mary. 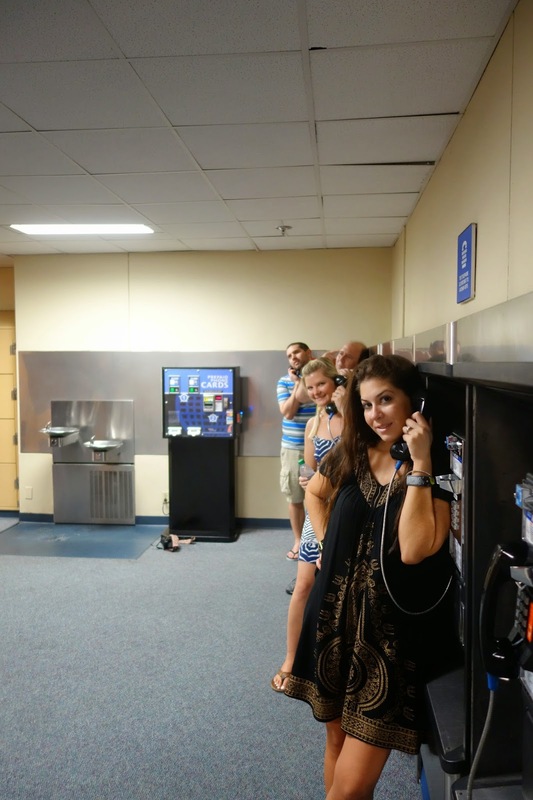 Now usually, especially on Sundays, we've found that the parks don't start serving alcohol until 11, 11:30, or 12 noon, depending on the bar or lounge. In fact, that seems to be the start time for most places in the World, any day of the week (boy do I sound like a lush!). So we were fully expecting to get there at rope drop, only to be told they weren't serving until later. 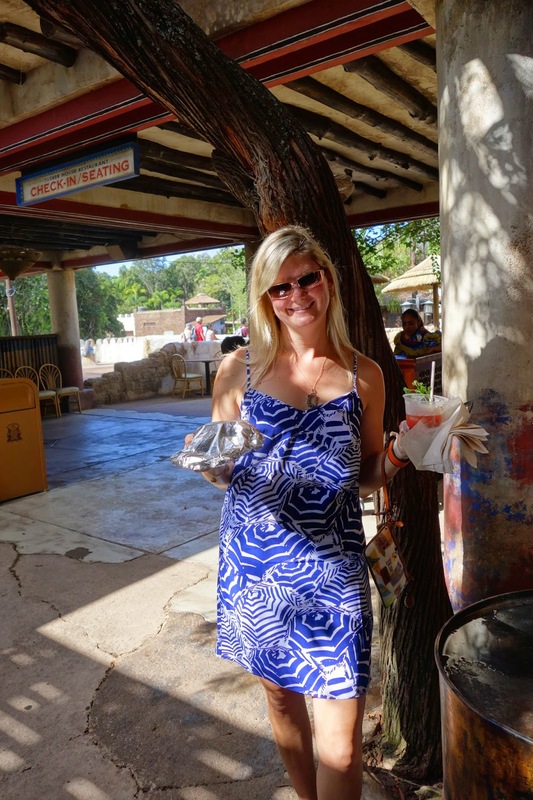 Here's a tip for you-- they WERE in fact serving the Bloodies at 9, when the park opened. 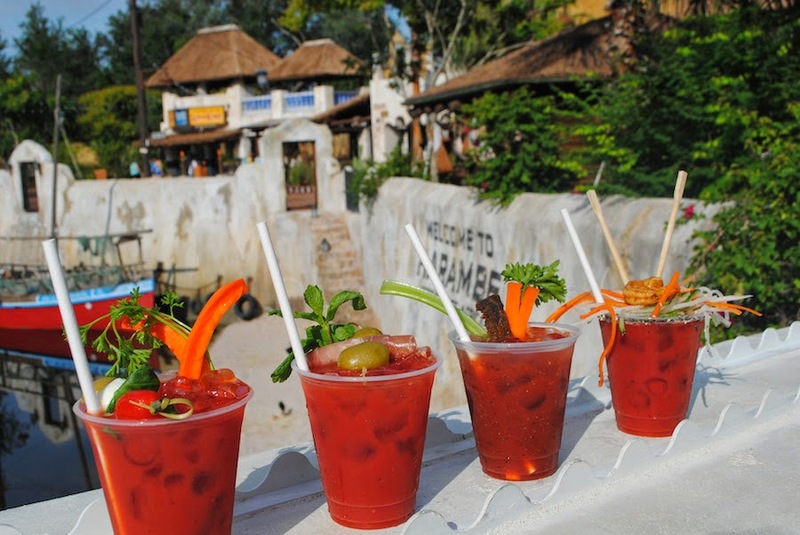 They were also pouring other drinks if people ordered them, so if Bloodies aren't your thing, but getting a buzz before noon while on vacation is, then Dawa Bar is your place. We entered the park just after 9 and made our way to Dawa Bar to ask Bob from Boston (our go-to bartender who is always there) if they were serving. Bob from Boston! And the Bloody Mary menu. 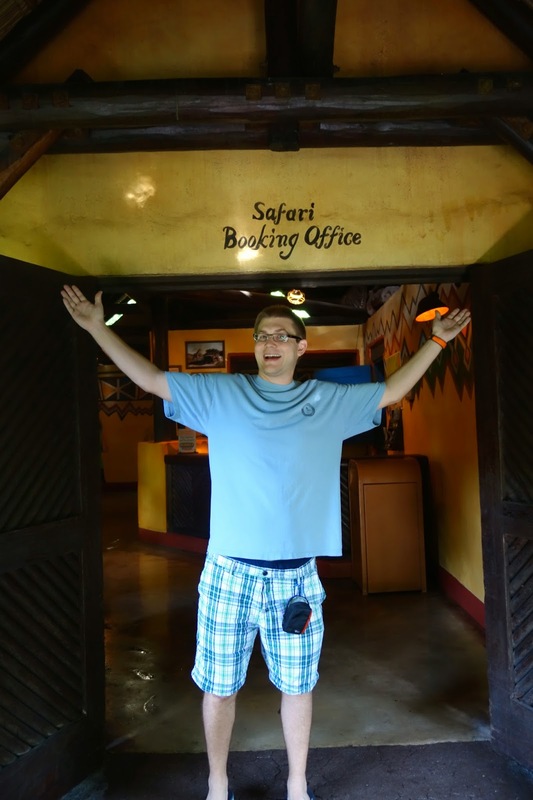 He said yes, we told him we'd be back soon, and went for a spin on Kilamanjaro Safari. 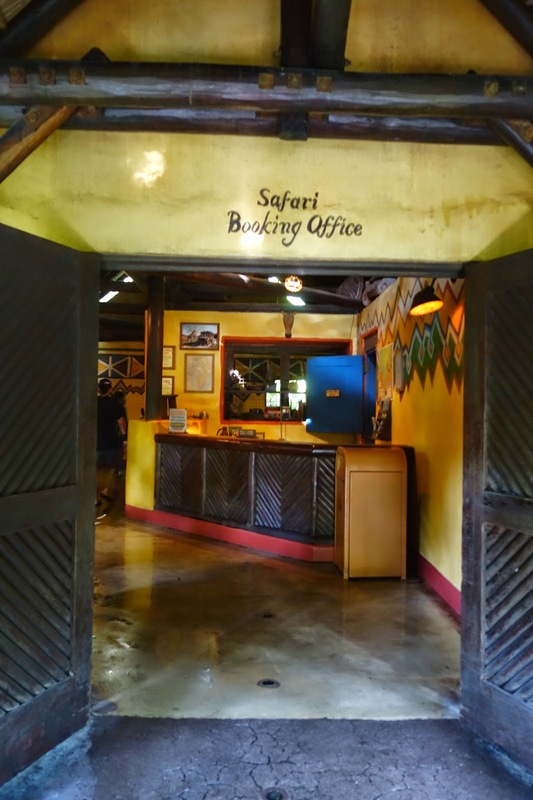 Another tip, do this attraction as early in the day as possible-- it's as cool as it's gonna get, and more animals are active, or at least out, than later in the day. 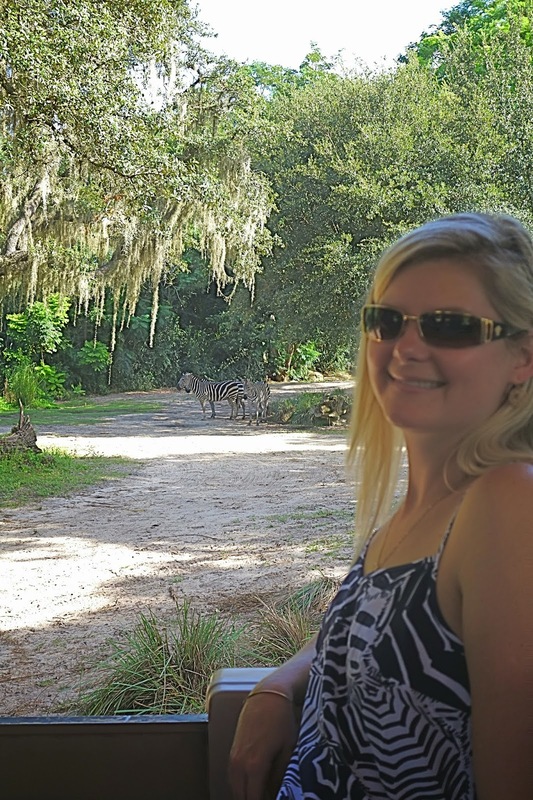 Because my dress matched the zebras. 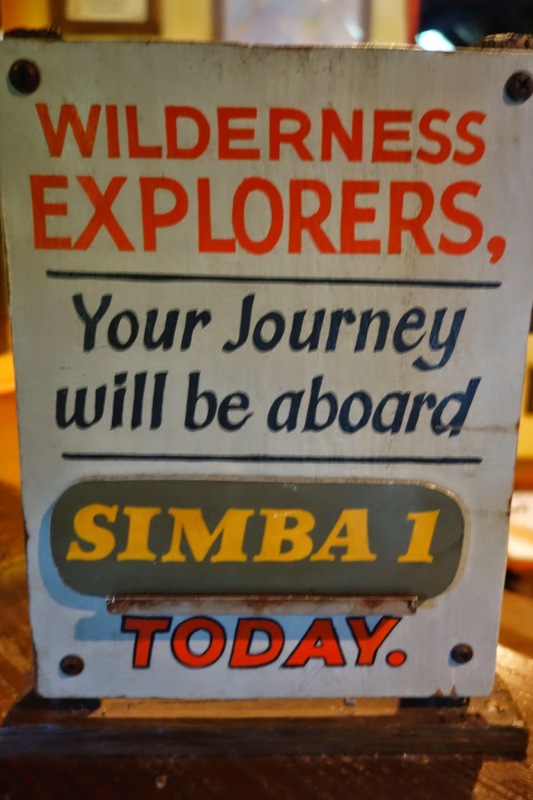 After helping Wilson stop poachers in Africa, we went back to Dawa and found seats at the bar. 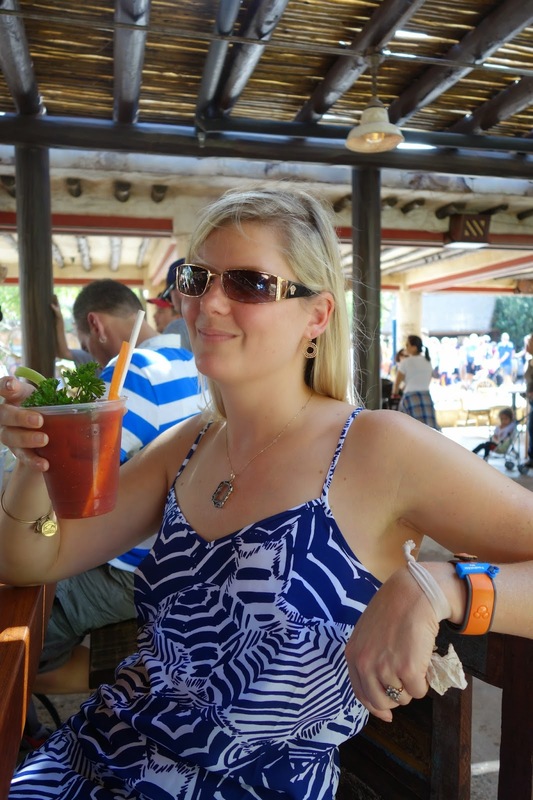 I started with the Discovery Island Bloody Mary, while John had the Dawa Bloody Mary because he likes spicy things! 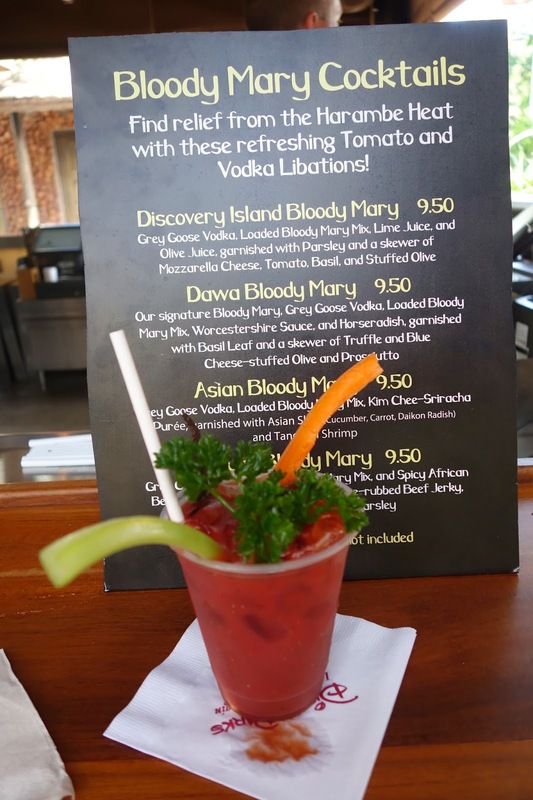 All of the Bloody Mary's start with the yummy Loaded Bloody Mary mix and Grey Goose Vodka (ftw!). 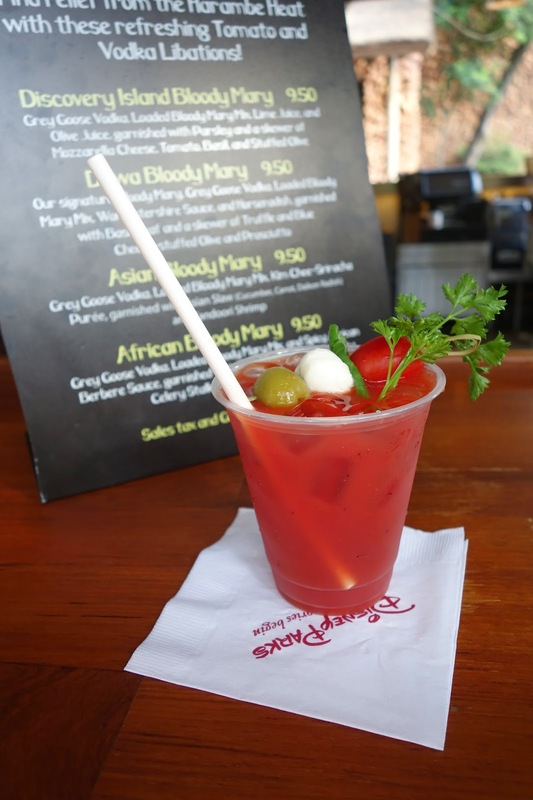 Discovery Island Bloody Mary- lime and olive juice, garnished with parsley and a skewer of mozzarella cheese, basil, cherry tomato and a stuffed olive. Mine was delicious- just a classic Bloody with yummy garnishes. John really liked his- I had a sip and it was really good, but very horseradish-y, so consider yourself warned. John held our spots at the bar, and I sipped my drink while walking to Pizzafari to get one of the new breakfast offerings. We needed something to soak up the alcohol! I returned with the new multi-grain breakfast croissant stuffed with egg whites, fresh spinach, provolone cheese and vegetable chutney, with a side of breakfast potatoes ($7.49). I asked them to wrap it in tinfoil so it would be easier to transport back to the bar. I know, I know, doesn't look too appetizing, but it was really yummy! And the potatoes- yum! They tasted like Cracker Barrel's hashbrown casserole, if you've had that. Tasty! 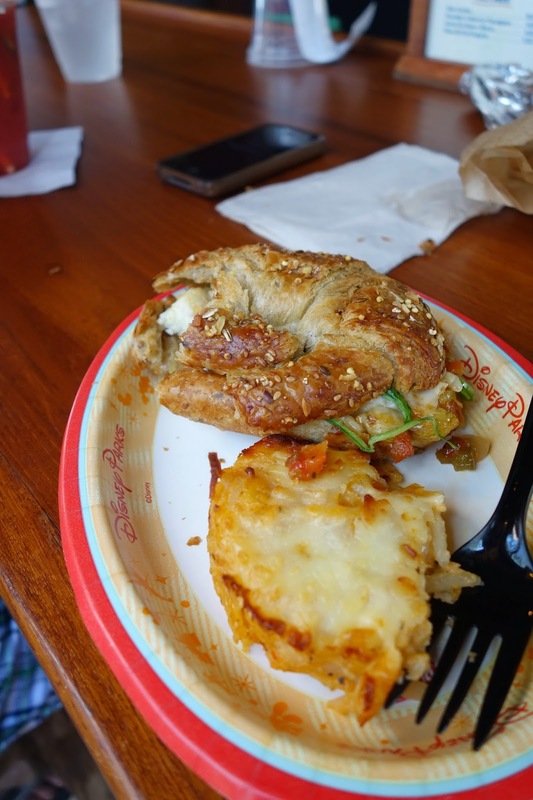 And not relatively too unhealthy in park food standards. Had to offset the calories we were drinking, ya know. Speaking of, back to the Bloodies! We finished our first round and tried the other two. 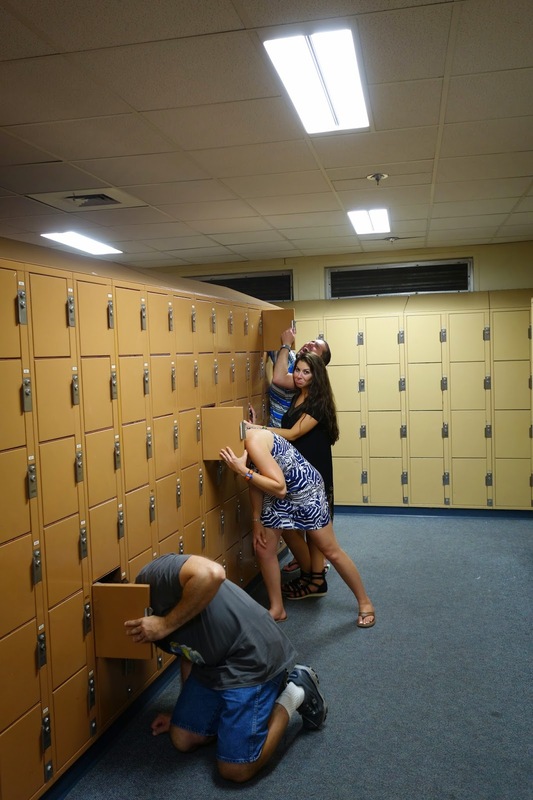 Hey, it's all in the name of research! I went with the African Bloody Mary, and John tried the Asian Bloody Mary. Again, both were really good! 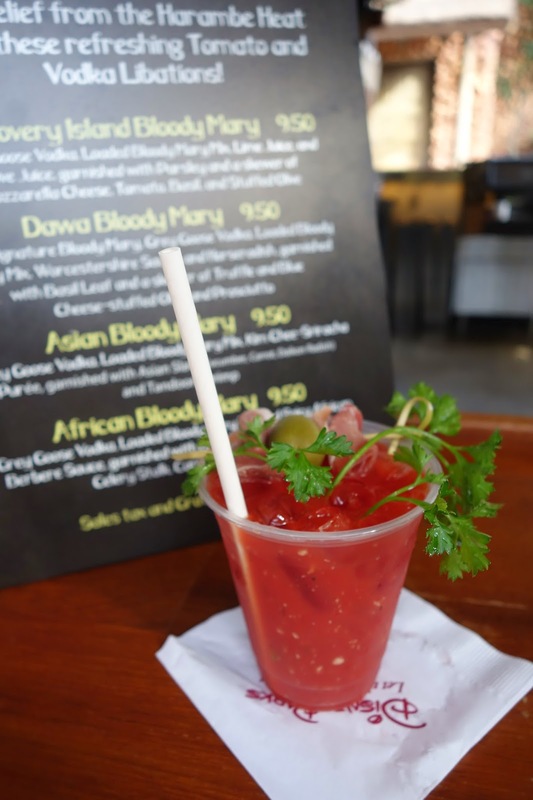 African Bloody Mary- spicy African berbere sauce garnished with a house-made berbere rubbed beef stick , celery and carrot stick, and parsley. 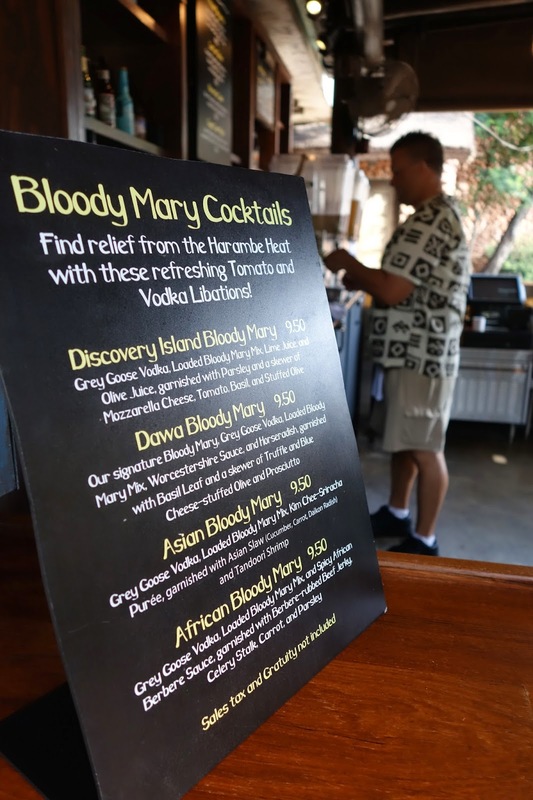 The African Bloody Mary had a slightly barbecue flavor from the berbere sauce, and even though it was described as spicy, it wasn't bad at all- and I'm not the biggest fan of super spice. And the beef stick (think beef jerky) really is house-made, which I thought was impressive and VERY good. John's Asian Bloody was good too, although a tad too spicy for my taste. The slaw on top was REALLY good, and thank goodness we had a fork from breakfast to eat it with. Bob from Boston said they usually serve it with chopsticks, but they were out at the moment. The curry-spiced tandoori shrimp was a nice touch. Seriously, with the amount of toppings, these drink almost like a light meal. And really, what's a cocktail if it doesn't have lunch floating on top? All in all, we really liked these and will be back for more. While sipping our second Bloodies, some of our favorite Disney friends joined us- hi Thomas (@tradzak on Instagram) and Angie (@pangiehubbard on IG) (and Danny, forever not pictured)! A warning about the Bloody Mary's though... they may cause public dancing. 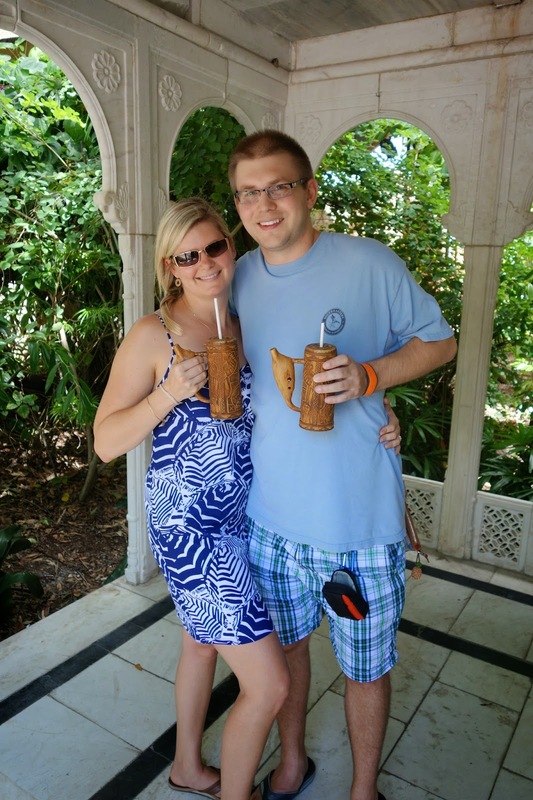 We ventured out of Africa and headed toward Asia, stopping to get a drink in one of the fun whistle cups! 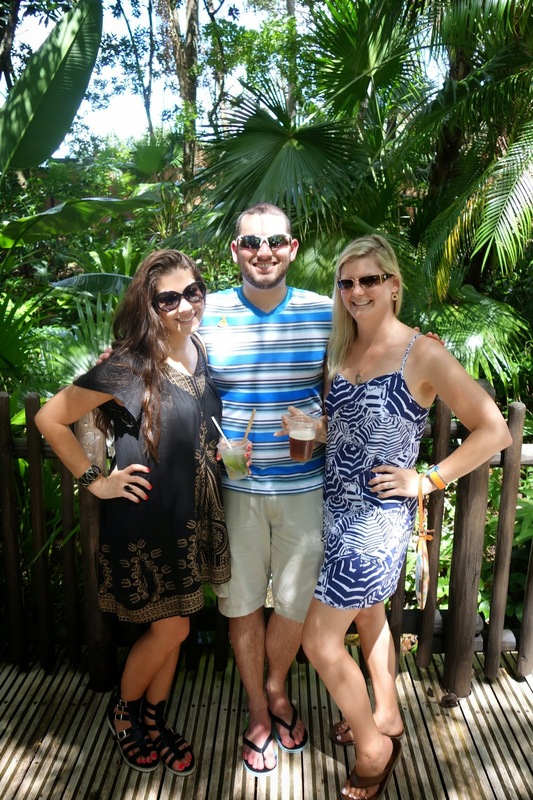 Then we thought it was a good idea to have a mini photo shoot in the little pavilion by Yak and Yeti. 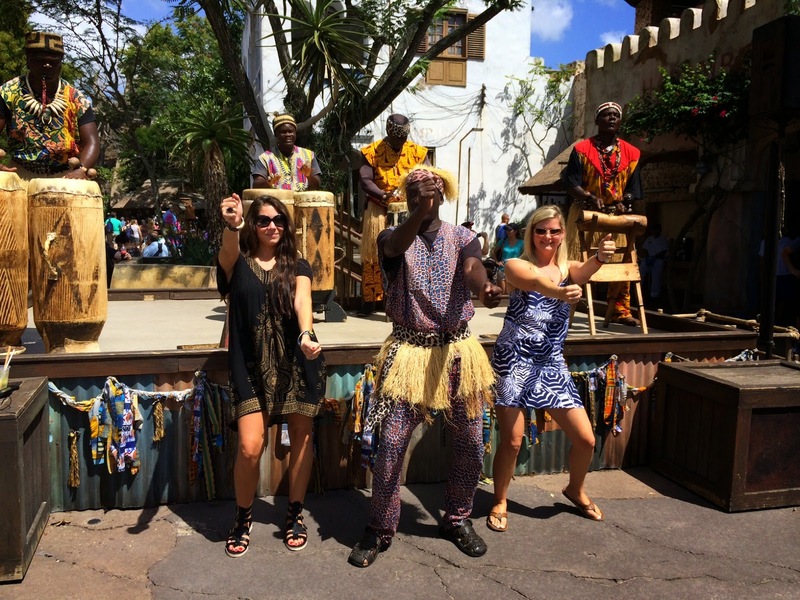 We wandered through the Majahara Jungle Trek and serenaded strangers with our cup music. I think this guy loved it. John and I left to attend said Labor Day party, mentioned above, then met back up with our friends at Epcot later that evening. This time, Luis (@disney_nuts on IG) joined in on the fun. I'll leave you with these pictures of how we closed out the night. Cheers!